Anna Bogue, secretary to Mrs. Elmhirst, writes to Martha Berry to inform her that they have forwarded the letter Martha Berry wrote to Mrs. Elmhirst. 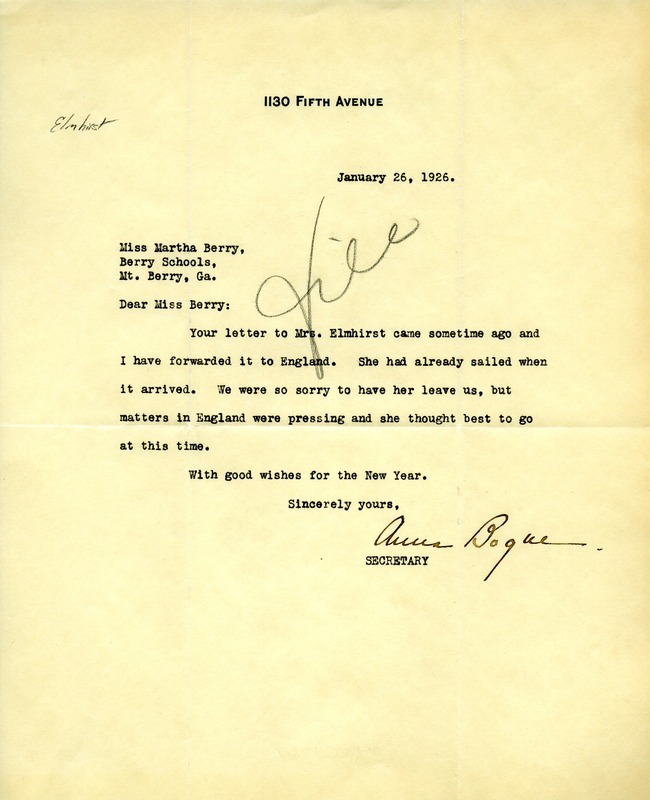 Anna Bogue, “Letter to Martha Berry from Anna Bogue.” Martha Berry Digital Archive. Eds. Schlitz, Stephanie A., Chelsea Risley, Aaron Jackson, et al. Mount Berry: Berry College, 2012. accessed April 20, 2019, https://mbda.berry.edu/items/show/2023.